Christmas 1996 - A young beautiful girl called JonBenet Ramsay is found strangled and beaten in the basement of her parents home in Boulder, Colorado. The murder captivated the public imagination thanks to its salacious elements - a fabulously rich father; an ex-pageant queen younger mother who had pushed her daughter into that world that so puzzles outside viewers with its questionable practice of sexualising little girls; tales of a kidnapping gone wrong or a sexual predator breaking in; and then the attention focusing on the family themselves. Twenty years on, the murder remains unsolved although a slew of anniversary TV specials have thrown up a number of theories. The reality is that the scene of the crime was so massively compromised by incompetent policing that we'll never know. However, the consensus of opinion seems to be that the kidnapping note was implausible, as was the likelihood of an outside intruder. One particular TV special suggests that the son may have accidentally hit the daughter, and the parents were more or less involved in a cover up. 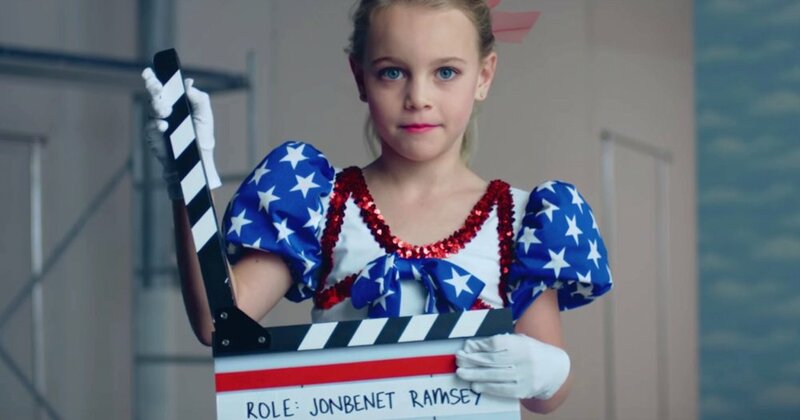 CASTING JONBENET comes at the case from a strange angle, and one that may not satisfy true crime fans who are fascinated by the case. Australian director Kitty Green goes back to Boulder and sets up a casting process to recreate scenes from the murder and investigation. In doing so, she interviews people from the local area and has them do line readings of the same scene. She also captures their own relationships to the case - whether knowing individuals related to it, or experiencing some of the same facets of the case in their own lives. The result is a compelling film that tells us something about how people remember a major public event and insinuate themselves into it. And in its final scene that has the actors simultaneously act out various interpretations of the night's events, the film powerfully conveys the impossibility of knowing. That said, I found both the film, and the attitude of its director and producer in the Q&A at the San Francisco film festival problematic. They seemed to think their product superior in its motives and production to the TV specials have been coming out. But say what you will, those specials are honest in their intentions to cover the original crime and posit a solution. But this film seems to hold itself at one level of remove, while also having that same curiosity. Indeed one of the producers said that you could almost read this film as not being about JonBenet at all, but about how any small town reacts to a notorious event, and about the nature of memory. And in that I found some hypocrisy and indeed exploitation of the name of JonBenet. After all, if you put her name in the title of your film, you're going to get a level of interest and audience whose interest you need to honestly address rather than that suckering them into a movie about something else. In other words, admit you're down in the dirt with the rest of us. There's also something unbalanced about refusing to truly investigate the involvement of the brother Burke. I get being squeamish about going into the actions of a child, but it comes with the territory. This documentary seems unwilling to meet its title and really get into the case. 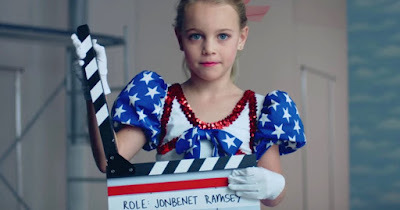 CASTING JONBENET has a running time of 80 minutes and is not rated. The movie played Sundance, Berlin and San Francisco 2017. It will be released on Netflix on April 28th.